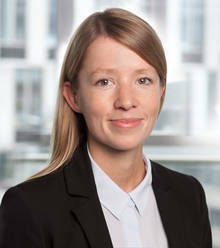 Sophie Kuske studied law at the University of Passau and at Cardiff University in Wales, focusing on employment and company law. After completing her postgraduate legal training in Hamburg (inter alia at Latham & Watkins LLP), she joined our law firm in June 2017. Sophie Kuske advises on all aspects of individual and collective employment law.